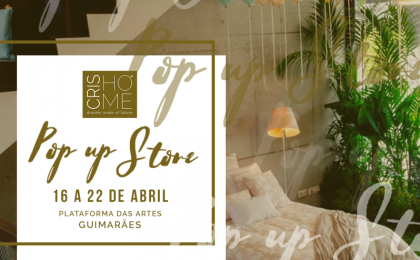 Pela terceira vez, a Crishome estará presente na loja Pop.Up da Associação Guimarães Marca, entre os dias 16 e 22 de abril. 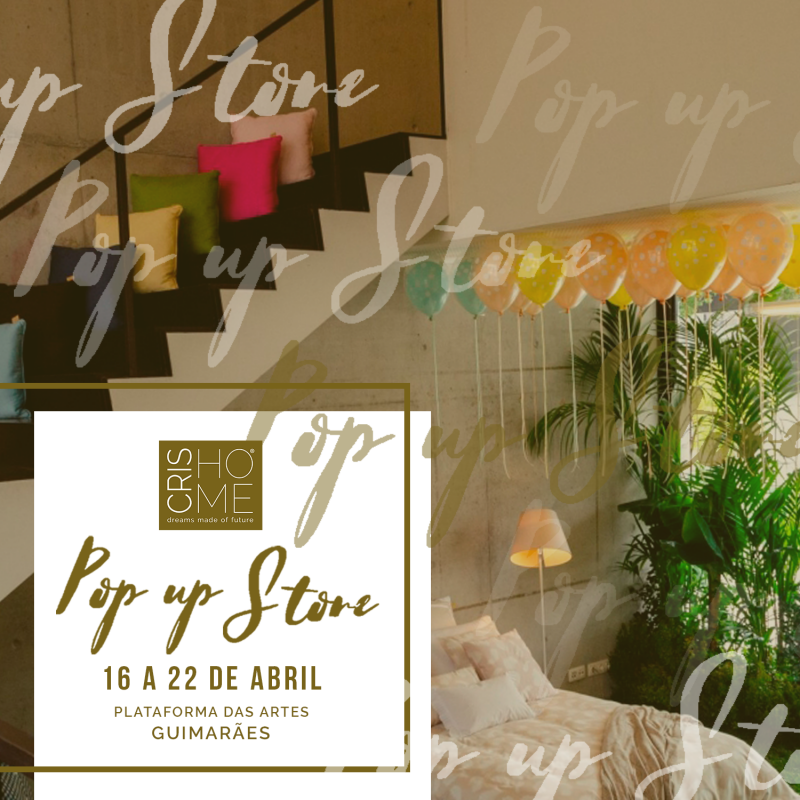 De 16 a 22 de abril, a Crishome estará novamente presente na loja Pop.Up da Associação Guimarães Marca. Mostraremos os nossos conceitos feito a pensar na experiência do cliente, uma que tem que ser memorável e que toque as suas emoções. Vestir o quarto com a marca Crishome é uma opção de conforto, uma decisão emocional onde imperam expectativas de um sono bem dormido. Mas a Crishome também é feita de inovação na sua abordagem ao mercado e à comunidade onde se encontra inserida. Este ano vamos decorar a PopUp Store com a imaginação, o arrojo e a criatividade dos alunos finalistas do curso de Marketing e Design Textil da Universidade do Minho. Venha vê-los, são absolutamente inspiradores! Crishome - Dreams Made of Future! 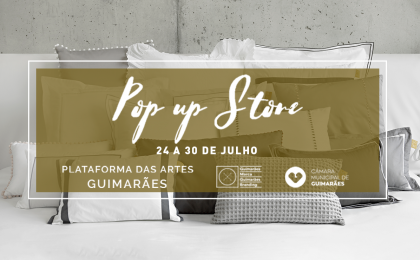 CrisHome’s Pop Up Store opens on July 24th in Guimarães! CrisHome’s Pop Up Store will be open to the public from July, the 24th till 30th, where its home textiles products will be displayed and sold. 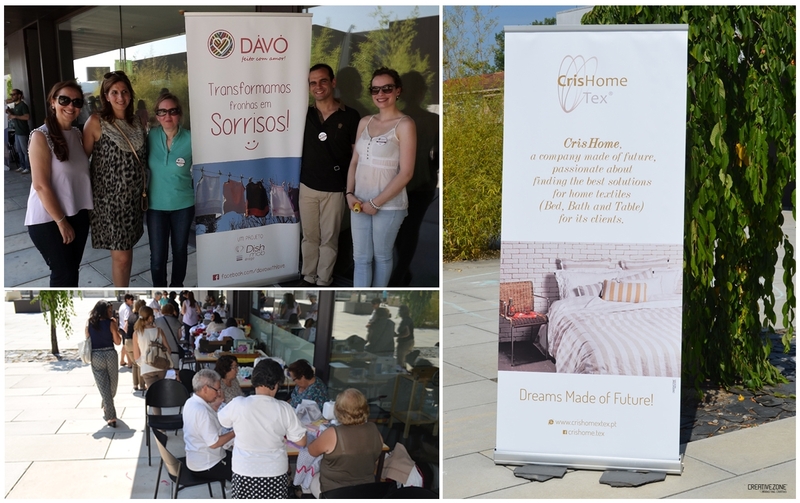 For the second consecutive year CrisHome is present in the Plataforma das Artes, in Guimarães, under the Guimarães Marca project, promoted by the Division of Economic Development of the Municipality of Guimarães. This project counts with more than 50 companies from Guimarães, aiming to promote the economics and culture of the city, spreading the brand "Guimarães Marca" around the world. This year the store space will be shared with the fashion clothing company, TMR, under a synergy-sharing perspective. CrisHome’s Pop Up Store will be open to the public from July, the 24th till 30th, from 10am to 7pm where its home textiles products - recognized by amazing textures, inspiring details, thought and designed to provide well-being to the customer – will be displayed and sold. Founded in 2012, the brand focuses on two differentiating elements - Design & Quality - that complement each other in the diversified offer to the client. On July, the 28th (Saturday) there will also be diverse solidarity activities, with special emphasis on the “D'Avó With Love” event, where people will have the opportunity to create clothes and accessories for children in need from pillowcases donated by CrisHome and accessories donated by TMR. Also on Saturday, children that walk by the store will be able to paint a T-shirt donated by TMR, appealing to children's creativity and spontaneity. There will also be a surprising activity that the company will be communicating by the end of the week. Cristina Teixeira, CEO of CrisHome, assumes that "this is not a space with a commercial intent but rather an assumed strand of promotion of the brand and our work." She also says that "this year we have planned activities for the entire community, we want them to visit us and experience special moments in the CrisHome store". Heimtextil 2018: the CrisHome collection has enchanted its visitors! Collection 'Urban Home Boutique' characterized by the color and details carefully woven and made, contributing to its differentiation. 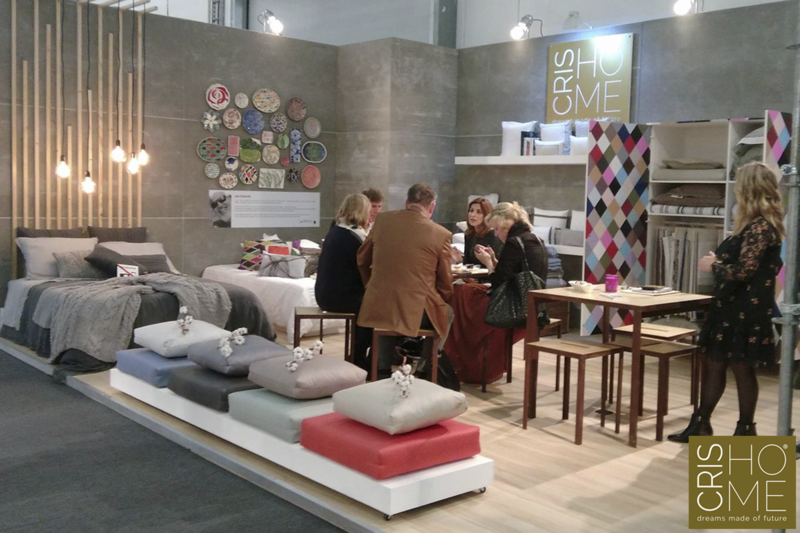 CrisHome was present at Heimtextil between january, the 9th till the 12th, in Frankfurt, the largest international home textile and decoration fair. CrisHome’s stand was praised for its combination of urban design, but cozy when combined with the 'Urban Home Boutique' collection where colour and carefully woven details contributed to its differentiation. Nearly 60 visitors from different countries, such as USA, Holland, Belgium, New Zealand, Finland, Greece, among many others came by the stand of this company from Guimarães. The different nationalities of CrisHome’s visitors reflects a great diversity in the demand of the products of this brand that were clearly a success. Particularly, visitors were positively impressed with the new proposals of quilts, linen collections, textures presented and still with the smooth range based on a multitude of colours that is already a recognized and a differentiating characteristic of the brand. 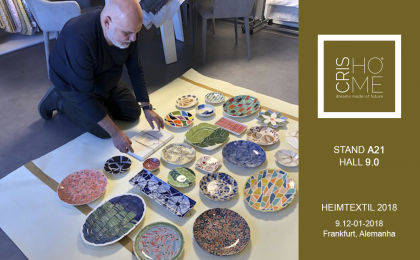 To complement this surprising collection, CrisHome has teamed up with art exhibiting handpainted ceramics by João Luis Stattmiller, a plastic artist from Ourém, with the aim of showing the different faces of the design 'made in Portugal' in the world's largest showcase of textile articles for the home. This event, besides being a great means of promotion and networking, was also an excellent opportunity for CrisHome to meet already established clients, thus reinforcing its proximity strategy with this public. Considering the enormous size of this event, CrisHome is proud to have surpassed the established goals, with the certainty that Heimtextil will be part of CrisHome’s 2019 calendar. CrisHome will be present at Heimtextil 2018, from 9th to 12th January, in Frankfurt - Germany. CrisHome will be present at Heimtextil 2018 - the largest international home textiles fair in Frankfurt am Main (Germany) – this being the 6th edition in which the company from Guimarães is participating. To strengthen its position as a brand of comfort and refinement in home textiles, CrisHome is launching its 2018 collection - Urban Home Boutique - where urban simplicity is associated with the 2018 trendy colours which will spark "at first, the curiosity, then the delight of visitors to this fair, "says Cristina Teixeira, CEO of the company. In addition to an astonishing collection, Crishome associated its recognized quality with art in the form of handpainted ceramic by João Luis Stattmiller, an artist from Ourém (Caldas da Rainha - Portugal), to display the different facets of design "made in Portugal” in the world's largest exhibition of home textiles. 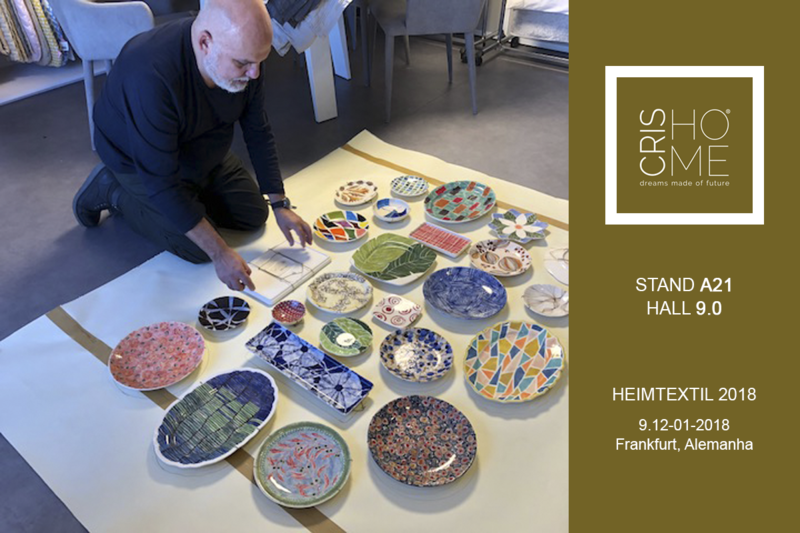 It took nearly three months to complete the entire process, from design to painting, to achieve the result of more than 20 hand-painted dishes that will embellish the walls of Crishome’s stand and that will certainly serve as inspiration for textile design as well. CrisHome: dreams made of the future. 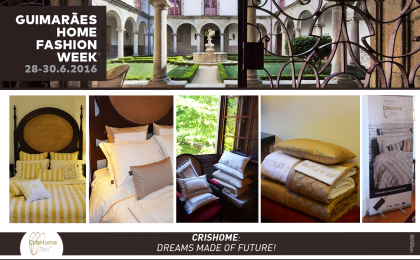 CrisHome presents a new collection inspired by ‘simplicity’ at Guimarães Home Fashion Week. 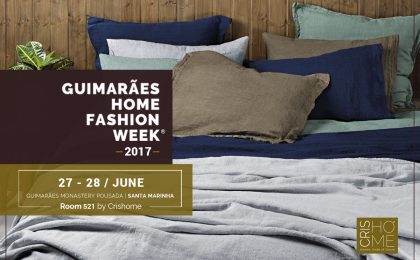 CrisHome will be displaying its products for the second consecutive​ time at ​the ​Guimarães Home Fashion Week, between June​, the ​27th and ​the ​28th, ​at the ​Pousada Santa Marinha Costa, Guimarães. This project promoted by Association "​Home from Portugal​", will be held in Guimarães, the historical home textiles​ Portuguese “​​​nest”. The exhibition​'s​ main goal is to welcome international buyers and journalists and promote the Portuguese home textiles’ excellence, especially​ the one​ from Vale do Ave’s region. CrisHome is one of the ​invited ​brands to be part of this exhibition due​ to​ its high quality products and service ​excellency​. During the two days event, the company will display ​its​ collection ​designed with ​the latest ​market trends, rigorous material selection and a unique colour palette. All these characteristics are applied to a collection that “will surprise the visitors. Its simplicity stands out and suits any room. 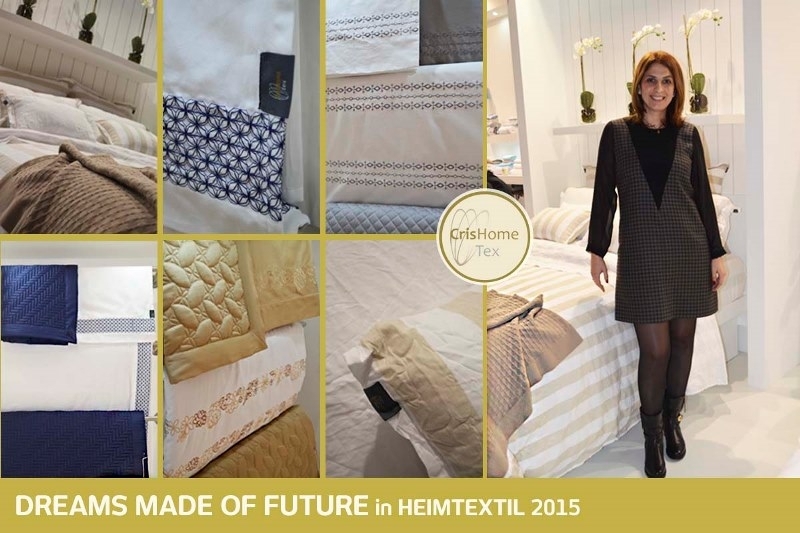 Simplicity always suits!”, enthusiastic words from Cristina Teixeira, CEO of Cris​homeTex​. 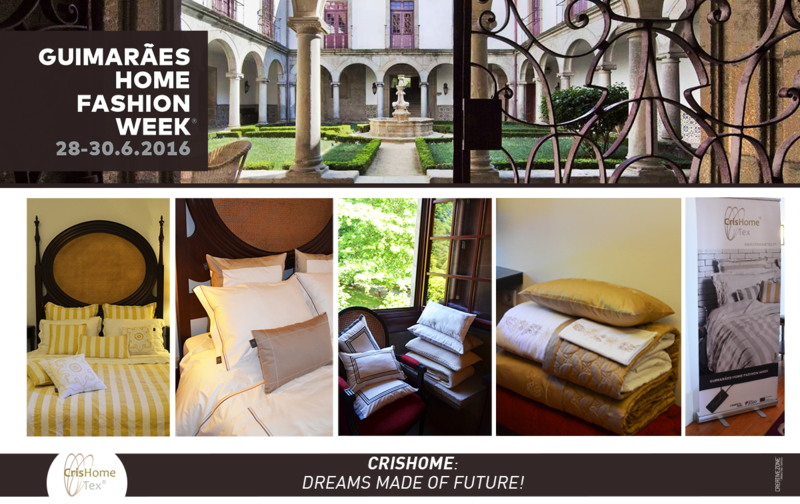 ​Aware of ​the ​Guimarães Home Fashion Week relevance for the city and​ the​ Portuguese home textiles industry, CrisHome is proud ​to​ be part of a project focused on ​the ​promoti​on of Portugal, especially Guimarães, and making its home textiles high quality production well known throughout the world. 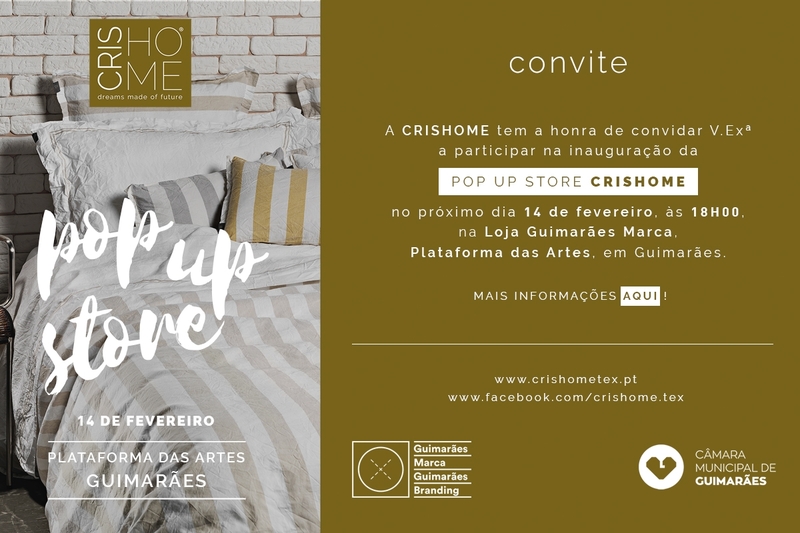 A Pop Up Store CrisHome abre as portas na próxima terça-feira (14 de fevereiro) às 18 horas na Plataforma das Artes em Guimarães, no âmbito do projeto Guimarães Marca. 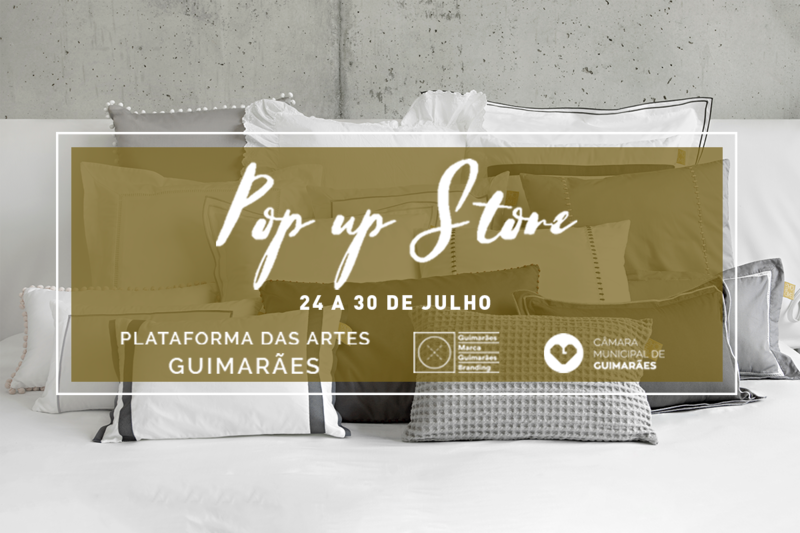 A Pop Up Store CrisHome abre as portas na próxima terça-feira (14 de fevereiro) às 18 horas na Plataforma das Artes em Guimarães, no âmbito do projeto Guimarães Marca, promovido pela Divisão de Desenvolvimento Económico do Município de Guimarães. Nesta iniciativa estão inscritas cerca de 40 empresas vimaranenses de prestígio e líderes de mercado nos setores têxtil-lar, calçado, cutelaria, vestuário e cartonagem, e que, na sua maioria, exportam 90 por cento do seu produto. Cada uma delas ocupará a Pop Up Store durante uma semana. 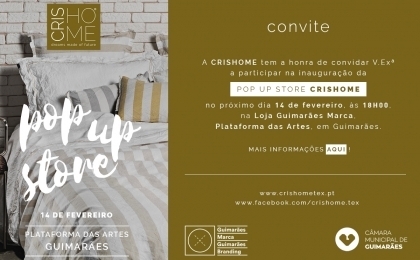 A CrisHome será a marca que inaugurará o evento, apresentando os seus produtos pela primeira vez numa loja física, entre os dias 14 e 20 de fevereiro. “A responsabilidade de sermos a primeira marca a abrir o evento deixa-nos ainda mais entusiasmados”, reforça a CEO da empresa, Cristina Teixeira. Entre os vários produtos expostos, estará a coleção lançada em janeiro deste ano na feira Heimtextil, inspirada em motivos e azulejos em homenagem à cultura portuguesa. A CrisHome associou-se de imediato a este projeto, considerando-o uma excelente oportunidade para ‘abrir as portas’ da CrisHome ao mundo. Esta empresa vimaranense existe desde 2012 sendo a concretização de um desejo pessoal que, desde então, é reconhecida pela sua versatilidade, controlo de qualidade e também pela simpatia única da equipa CrisHome. CrisHome was inspired by the Portuguese Tiles and Heimtextil surrendered to its collection! CrisHome: dreams made of future! The most important home textile fair took place in Frankfurt between January, 10th and 13th and CrisHome was one of the 81 Portuguese companies attending in this event. As "a fair with top-level exhibitors coming from all over the world, CrisHome, due to the market positioning it wants to achieve, must to be associated with events of this dimension", emphasizes the CEO of CrisHome, Cristina Teixeira, referring to the importance of presence of her brand in this event. For this edition, CrisHome was inspired by the Portuguese Tiles and paid homage to its cultural heritage, applying its inspiration in the various commercialized products. This collection was a huge success in the show, being the most requested drawings by the visitors at CrisHome stand. Satisfied with the achieved results, Cristina Teixeira estimates that she has received nearly 50 visitors from countries such as USA, Holland, Belgium, Poland, Italy, Spain, Sweden, Greece, among others. This year, Heimtextil was attended by 2 800 exhibitors and around 69 000 visitors. Considering the enormous size of this event, CrisHome is proud of the fact that its stand has stood out for the obvious reasons: "creativity, dynamism and friendliness". O lançamento do novo logótipo é o reflexo da sua nova estratégia de comunicação, que se pretende sustentar nos valores da Elegância e do Requinte. Relativamente à cor, o dourado continua a ser a cor predominante no logótipo, mas num tom mais forte, expressando segurança, maturidade, conforto e simplicidade, valores considerados pela marca. Considerada como sendo uma fonte elegante, o novo lettering remete para uma identificação clara e imediata da marca. A assinatura ‘Dreams Made of Future’ foi inserida no logótipo como um complemento de reforço do posicionamento da marca. O novo logótipo acompanha a vontade da empresa de criar, inovar, reinventar e renovar para conseguir a autenticidade distintiva que a caracteriza. 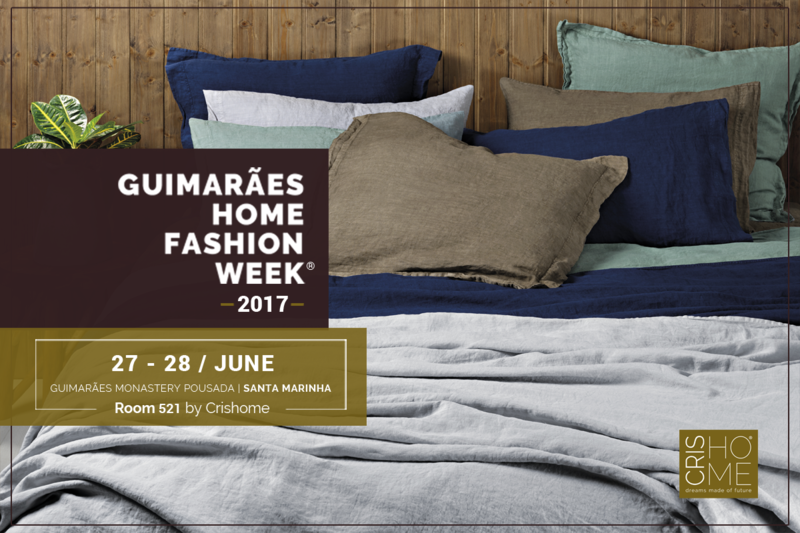 Decorreu nos dias 28 e 29 de junho o Guimarães Home Fashion Week, na Pousada Santa Marinha e a CrisHome foi uma das 30 empresas presentes. Pela primeira vez, a cidade berço recebeu o Guimarães Home Fashion Week. Realizado entre os dias 28 e 29 de junho, na Pousada de Santa Marinha, este conceito teve como objetivo “aproveitar a disponibilidade de vários importadores internacionais em conhecerem os produtos têxteis e lar que são produzidos em Portugal, em particular nesta região do Vale do Ave”. A CrisHome foi uma das 30 empresas do concelho de Guimarães que a organização do evento (Associação Home for Portugal) convidou. Durante estes dois dias, a CrisHome recebeu vários compradores estrangeiros, provenientes de países como Chile, Hong Kong, Japão, Rússia, África do Sul, Espanha, Grécia, entre outros. Além disso, a CrisHome recebeu também diversos jornalistas internacionais e especializados na área da moda e design com o objetivo de apresentar a empresa, os seus produtos e serviço prestado. O feedback deste evento é positivo, sendo que os conceitos apresentados pela CrisHome foram enaltecidos essencialmente pelas cores de tendência e pelos bordados simples e elegantes, gerando uma grande apetência nos compradores internacionais, tendo sido encetados vários contactos comerciais para pedidos de cotações e amostras. Tendo em consideração a importância deste evento para a cidade e para o setor têxtil português, a CrisHome orgulha-se por se conseguir destacar e as razões, sublinha a CEO Cristina Teixeira, são claras: “design, produto e capacidade de ‘engagement’ com os clientes”. CrisHome helps turning pillowcases in smiles! CrisHome is associated to a project called “D’AVÓ WITH LOVE”, which pretends to unite the textile sector’s companies around a solidarity cause. 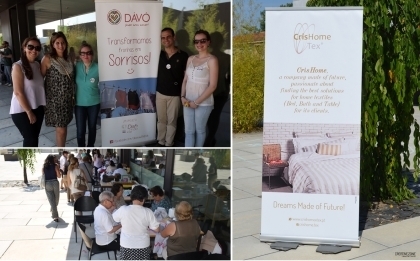 Crishome is associated to a project called “D’AVÓ WITH LOVE”, which pretends to unite the textile sector’s companies around a solidarity cause. This project is part of the activities of DishMob Braga, a civic and solidarity movement created 2 years ago. With the main goal of “turning pillowcases into smiles”, CrisHome provides pillowcases that are turned into dresses by voluntary grandmothers. When the dresses are ready, they are sent to children with specific needs. Until today, 205 dresses have been sent to Guinee, Kenia, Nepal and Cape Verde. In order to promote the project, street actions were conducted where sewing machines were installed so that grandmothers could bring those dresses to life, with the participation of people that were passing by and offered help. At this point, these actions have happened in Guimarães, Amares (Braga) and Ronfe (Guimarães). CrisHome, as an associated company, has ensured its presence in these actions with its contribution, because doing solidarity actions is so simple! 2015 Collection surprises with its comfort and refinement! 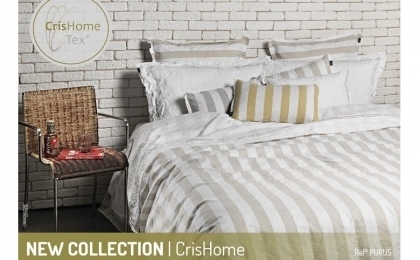 Launched in mid-March, CrisHome 2015 collection continues to surprise for its quality. Inspired by cultures and landscapes linked to worldwide known rivers, which transmit a relaxing feeling of life, Cristina Teixeira refers that “this collection differentiates itself from the previous ones for the search of an even better quality”. The goal was to find the best quality and the best design to astonish the customers. For Cristina Teixeira, this collection is characterized by three crucial points: details, comfort and refinement. Details because “they have always been a CrisHome distinctive feature in relation to its competitors”. Refinement and comfort appear as it is a collection that “stands out for relaxation, made with the best materials that increase its comfort, making it an elegant and refined one”. Designed with the intention to conquer new markets, CrisHome 2015 collection has already reached several countries such as Indonesia, Mexico and Finland. 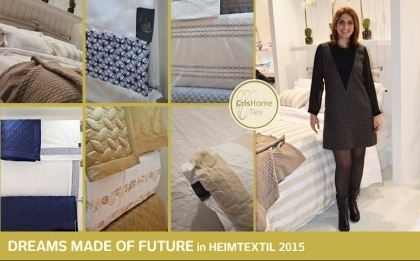 CrisHome set its presence at Heimtextil 2015. 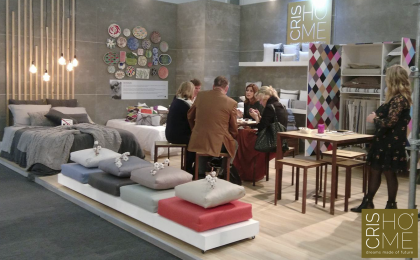 CrisHome set its presence at Heimtextil 2015, the largest international trade fair for home textiles and decoration. "It is a fair with the highest level exhibitors" refers the Director of CrisHome, Cristina Teixeira. Nearly 60 visitors from various countries passed through the stand of this Portuguese company: USA, Netherlands, Belgium, Poland, Mexico, Greece, among many others. For this edition, CrisHome prepared a new collection of quilts that was clearly a success. The models presented were praised essentially by their neutral colors and the simple and elegant embroidery combined work. These were undoubtedly the most requested models by the CrisHome visitors. Besides being a great means of promotion and networking, this event also served as a source of inspiration given the fact that it envisions a world of colors and patterns. CrisHome is already working on its new ideas for the edition of Heimtextil 2016 so that its customers can always have the best options. 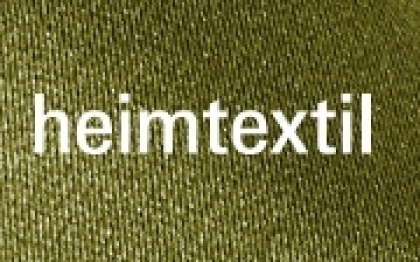 Heimtextil had the participation of 2.800 exhibitors and nearly 68.000 visitors. In view of the enormous scale of this event, CrisHome is proud to have been able to make the difference and the reasons, underlines the CEO Cristina Teixeira, are clear: "simplicity, dynamism and sympathy". 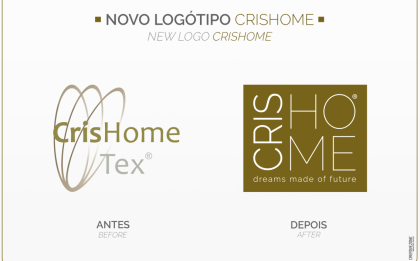 CrisHome Tex was created as an example of rigorous and creative professionalism. CrisHome Tex (CHT) was born out of a creased and passionate desire for the textile world. 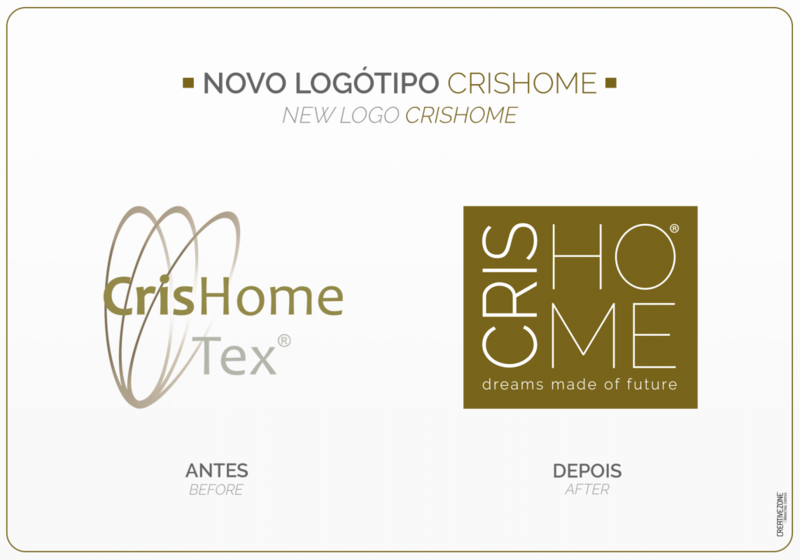 Cristina Teixeira, the company's founder, has soon ambitioned to make this personal project come true and, in 2012, CrisHome Tex was created as an example of rigorous and creative professionalism. In 'between the lines' are the versatility and quality control of this creative company which allow an adequate response to the various needs of its clients. 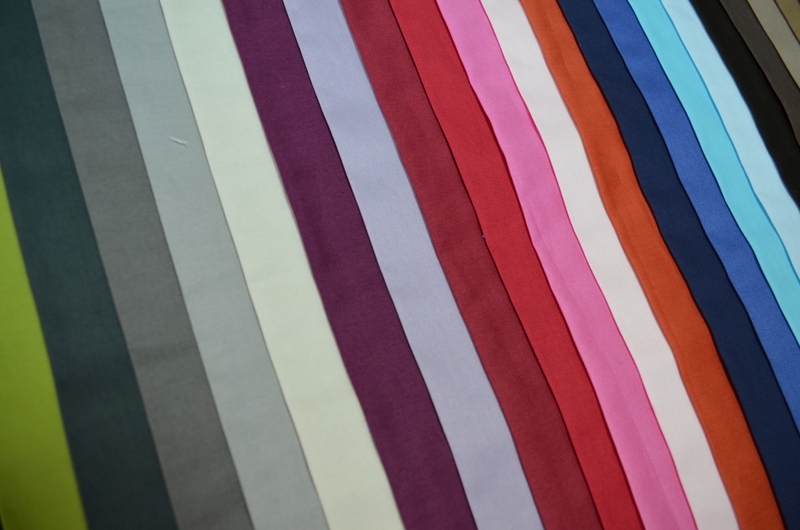 Featuring a wide range of fabrics, patterns and textures, the most used being satin, percale, yarn dyed, jacquard, linen, seersuckers, embroideries, twills, panama, among others. 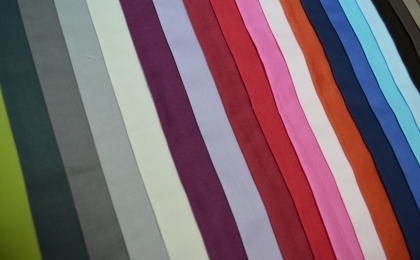 Another distinguished feature that stands out is the variety of percale and satin colors that CHT has permanently in stock: an impressive palette of 29 colors always at the client disposal. By offering a personalized and excellent service, CrisHome Tex is constantly looking for the consolidation of the relationship with its main asset: the clients… always with a strict sense of professionalism and creativity which the company is recognized for. 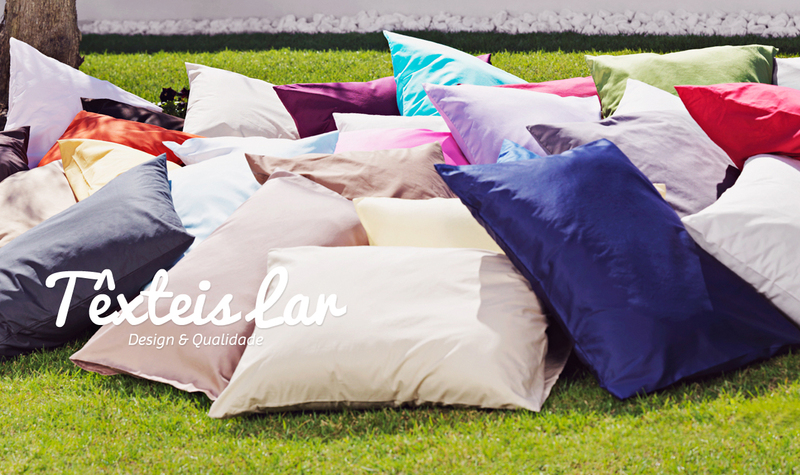 CrisHome will be surprising in Heimtextil 2015! CrisHome is putting together some cozy and surprising concepts. For the third consecutive year, CrisHome will be in Heimtextil 2015, the largest international trade fair for the home textiles, held in Frankfurt, Germany. With the intention to strengthen its reputation in this event, CrisHome is putting together some cozy and surprising concepts. Original proposals will be presented in bedding, table and bath which will make our visitors comfortably daydream combined with the beauty of unique colors. Join us in this journey of elegance and color! Looking forward to your visit at booth A21 in Hall 9.0!